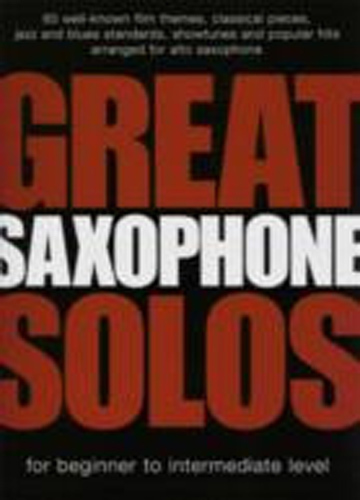 Great Saxophone Solos. This incredible book contains 60 pieces for alto saxophone, from well-known film themes, classical pieces, jazz and blues standards, to showtunes and popular hits. Includes: (Sittin? On) The Dock Of The Bay, Aint That A Kick In The Head, Angels, Beautiful, Dont Look Back In Anger, Fields Of Gold, If I Were A Rich Man, Moon River, Put Your Records On, Fly Me to The Moon, Fever, Clair De Lune, O For The Wings Of A Dove, Goldfinger, Mission; Impossible, Moonglow & More.